Be a part of our amazing family. Thank you for your interest in working with us at Spirit of the West Adventures. Each season we welcome a few new members to our team. We try to do our hiring early in the season; we start in February and keep hiring until our positions are filled. We offer a fun and supportive working environment, competitive wages, health benefits for returning staff, annual raises and many perks. We like to think that our staff works with us, not for us. If you are interested in working with us please see below for details. 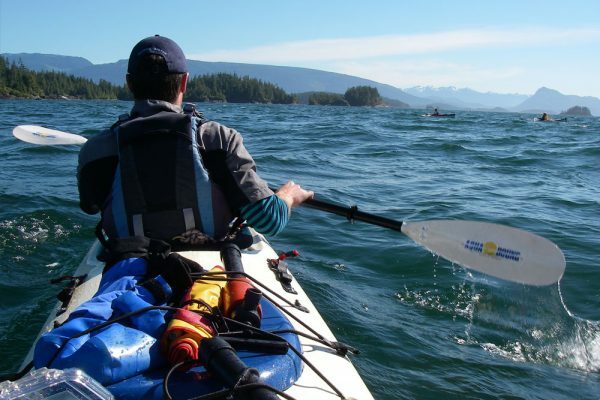 Assistant Overnight Guide (assistant positions) or Level 2 or Level 3 (lead positions) sea kayak guide certification from the Sea Kayak Guides Alliance of BC (or equivalent). A minimum of an Advanced Wilderness First Aid Certificate and radio operator’s license. Passion and skill for natural history interpretation, good safety judgment and inspiring and motivating leadership skills are essential “soft” skills. Of course, you will also need to be legally able to work in Canada prior to being hired. Kayak guides usually work in teams of two or three and can expect to be in the field for 4-7 days at a time. 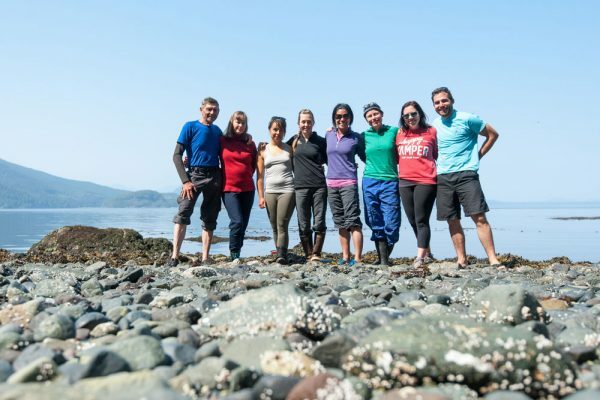 You are responsible for leading rewarding, safe, educational and fun trips for people of many backgrounds and levels of experience. Certification and training is only the beginning, as we expect guides to be strong leaders, great cooks, knowledgeable in natural and cultural history, good teachers and communicators and handy with the typical equipment used on trip. A full job description and manual is provided to all guides prior to beginning work. This dynamic individual needs to be a big picture thinker. After your training is well under way, this individual is responsible planning, ordering, purchasing and packing all the food for our tours. This person needs to be organized, efficient and hardworking. This position has flexible hours as long as the work is getting done. You are also responsible for overseeing the other kitchen crew and ensuring everyone is working co-operatively to get jobs done. This person is another essential member of our team. This position involves being the right hand person for the kitchen manager. This jobs involves lots of food planning, preparation and packing. The assistant also oversees the other kitchen helpers including the clean up crew. These folks are some of the most appreciated people on earth. They are responsible for cleaning all the gear, dishes, vans, kayaks etc that come back from trips. Combined with keeping our working spaces in good, neat, working order these positions are very important to our operations! This person oversees the entire big picture. Helping wherever they are needed, duties range from answering phones, to packing food. This person helps to keep things moving and working efficiently for the base crew as well as the guides and field staff. This individual also needs to be handy often repairing bits and pieces that need a little TLC. This position requires a great deal of organizational ability, great people skills and being computer savvy. Our office crew are the first people guests talk to before their adventures and therefore need to be helpful and courteous. These unsung heroes help to make sure that everyone involved in the kayak trip has the right information, is in the right place at the right time with the right gear – no easy feat! We are very interested in trading trips for specialized skills and experience. Have you ever wanted to kayak in some of the most beautiful areas on earth alongside some great wildlife? Have a specialized skill or service that you think we may benefit from? Then contact us and make a proposal. We are open to discussing other possibilities! 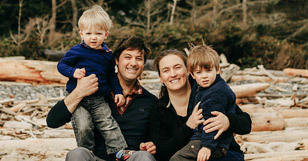 [email protected] OR Spirit of the West Adventures, PO Box 569, Heriot Bay, British Columbia, V0P 1H0 Canada.